when living here feels hard. 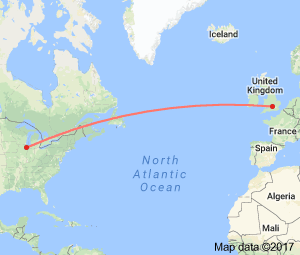 I’ve moved 3894 miles away from home to a country I’ve never even visited before. I can’t sleep at night or stay awake during the day, I can’t work out the tax on anything I buy, I struggle to remember that named streets go north/south and numbered go east/west. I can’t have a social security number unless I have a job, and it’ll costs a lot to apply for working status (which I may not get). Everything I own is in this one room; I do not own most of the things in this room. You’ve done well to write a blog so soon! I hope you soon get the hang of your new location, and that you can see the sea soon. We’ve been leaf printing this morning, followed by shared lunch. Just catching up now. Thank you so much for your encouragement, Joy!